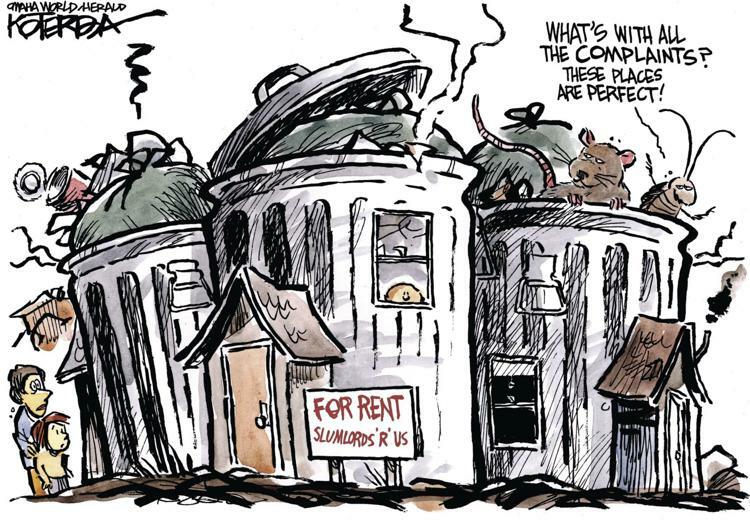 Urban Abbey, 1026 Jackson St.
IPL trained leader Dennis Walsh and Restoring Dignity Executive Director Hannah Wyble published an op-ed in the paper outlining what an effective housing policy should have to prevent the furthering of substandard rental housing. IPL is educating the Omaha community as well as City Council and State Senators about what an effective policy must have while the City of Omaha drafts a City ordinance to head off action by the Unicameral on Sen Wayne’s LB 85 which requires the City to register and periodically inspect all rental property in Omaha. The Mayor and Council will make decisions over the next two weeks that will affect the health and safety of families and vitality of our neighborhoods for years to come. Require registration of all rental properties. The city tracks who owns cats and dogs but does not track who owns rental property. Omaha should emulate Council Bluffs, which uses stiff fines for non-registration to attain an estimated participation rate of 85 percent. Registration data must be online, easily accessible and include records of code violations and all names of LLC owners. Inspect all registered properties periodically to identify unsafe and unhealthy conditions. If the city conducted 13,000 inspections per year, that could cover all rental properties in three years if random sampling was used within multi-unit properties. Landlords with good track records should be inspected less often than landlords with poor ones. City staff testified at the public hearing on LB 85 that eight to 15 new inspectors would be needed for inspections on a three-year cycle. That is effective and manageable. Use modest registration fees to fully fund the system. An annual registration fee on landlords averaging $2.55 per unit per month would generate $2.1 million per year devoted to proactive code enforcement, at negligible cost to either landlords or tenants. That is affordable. Make the education of tenants and landlords about their rights and responsibilities an essential function of code enforcement. Start by requiring each rental property to display a poster in appropriate languages with contact numbers for code enforcement and supportive agencies. Education plus inspections are needed to ensure health and safety, just as in the food industry. Health impacts of poor housing can be worse than consuming bad food. We have rules for inspections of food producers that serve public health quite well. Go back to court to get the changes needed to run proper code enforcement. City staff says that, because of a 2015 consent decree, sometimes they spend one hour conducting an inspection, but then two hours at the office filling out paperwork. In contrast, Council Bluffs inspectors spend almost all day in the field, and support personnel complete paperwork. The consent decree allows the city to seek changes to accommodate “changes in circumstances, or administrative operating efficiencies.” Now is the time to gain these efficiencies. On Tuesday January 22, the Urban Affairs Committee of the Nebraska Unicameral heard citizen testimonies on LB 85, which would require Omaha and Lincoln to develop a Rental Property Registration and Inspection Ordinance to ensure minimum health and safety standards are met in all rental properties. 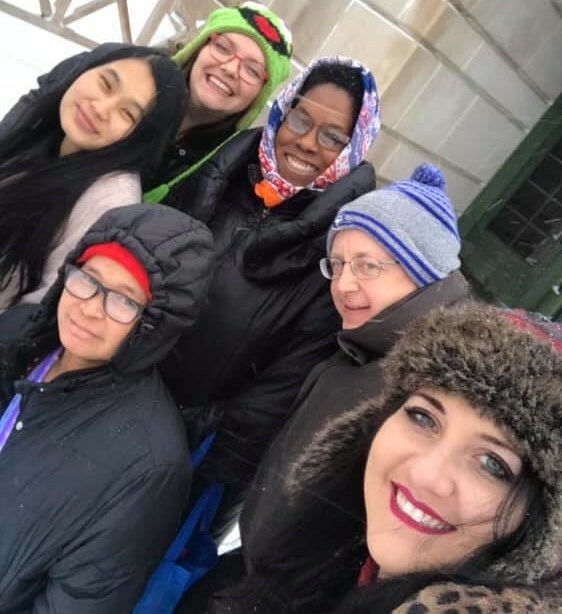 IPL trained leaders testified in support of LB 85 along with tenants and other organizations like Restoring Dignity, Together, Family Housing Advisory Services, Omaha Healthy Kids Alliance, and others who submitted written testimony. WOWT, KETV, Omaha World Herald, Lincoln Journal Star and 1011 Now all provided news coverage of the hearing. This past Friday, over 100 leaders from IPL, OTOC, and the TPS Alliance of Nebraska gathered to hold a Prayer Service that celebrated both culture and faith for the 9 members of the Omaha community who are representing Nebraska at the TPS Summit in Washington DC from February 10—February 13. The Opening prayer and focus statement were given bilingually by Pastor Juan Carlos Veloso, along with Fr. Chris Saenz, who gave the Blessing to the travelers.